After the United States Chamber of Commerce released the fourth installment of its Institute for 21st Century Energy’s Energy Accountability Series (Energy 21), which looked at the economic effects of a national fracking ban and found it wouldn’t be pretty, activists flew into a panic. This is the same activist who claimed last April that the studies predicting job growth in Ohio used “silly” methodology to come to figures of roughly 200,000 jobs. Herzenberg turned out to be wrong, of course. Not only did the unemployment rate decline by 66 percent by April 2015, but there were 190,153 people employed in Ohio’s oil and gas industry or related companies. So Herzenberg is once again downplaying the incredible positive impacts the oil and gas industry has had on shale states. So where do those job numbers come from? 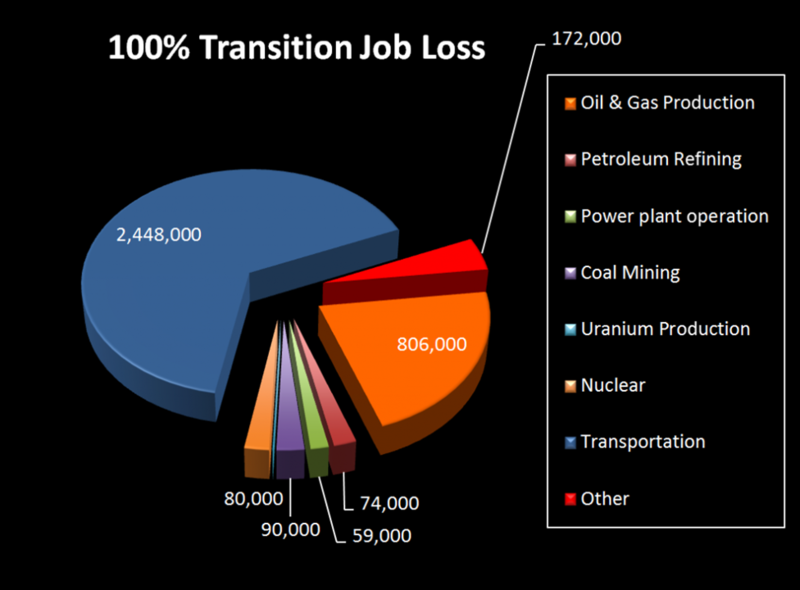 The report figure of 466,000 jobs lost includes both those directly related to shale development and others that would be impacted from rippling effects of a national ban like higher energy costs. Obviously, with a ban the immediate impact would be on those individuals working directly in the shale industry. In Pennsylvania, the direct number of jobs created from Marcellus development was recently revised under the Wolf administration. Even if we assume that the administration’s calculation of 89,000 jobs related to shale development in Pennsylvania is correct (other estimates are around 200,000) that’s tens of thousands of jobs that are eliminated with a fracking ban. But it isn’t only the Marcellus industry directly that relies on natural gas being developed. But those thousands of jobs would go away without the industry and feedstock here that has made Pennsylvania so attractive for manufacturing investors in recent years. According to Invenergy, Lackawanna Energy Center will create 600 jobs during construction of the facility and once completed the project will generate more than $50 million in community investment. The Panda Patriot will “create approximately 500 construction jobs; 27 direct jobs to operate the plant and 45 indirect jobs to support the plant,” and supply up to one million homes. The Moxie Freedom is estimated to create yet another 600 jobs that will produce roughly $120 million in payroll and other worker-related revenue. There are also the retail, hospitality, restaurant and other industries that rely on Pennsylvanians having some level of disposable income to use their services. Jobs in those sectors would suffer as well. While Herzenberg calls the figures that estimate job losses from higher energy costs as “laughable,” those impacted would hardly find the humor in such remarks. Take for instance the trucking industry—and not just the water or equipment trucks associated with shale development—but the milk and other farming trucks, the orange Schneider Valley Farm trucks that are a staple on roadways in Northeastern Pennsylvania and the trucking companies out of Lancaster County. Even the “garbage” trucks that keep our cities clean would be impacted. They’d all be facing tough times staying afloat, let alone fully staffed, given skyrocketing energy costs. The average worker would be impacted as well, as a 2014 report from the Pennsylvania Data Center showed. 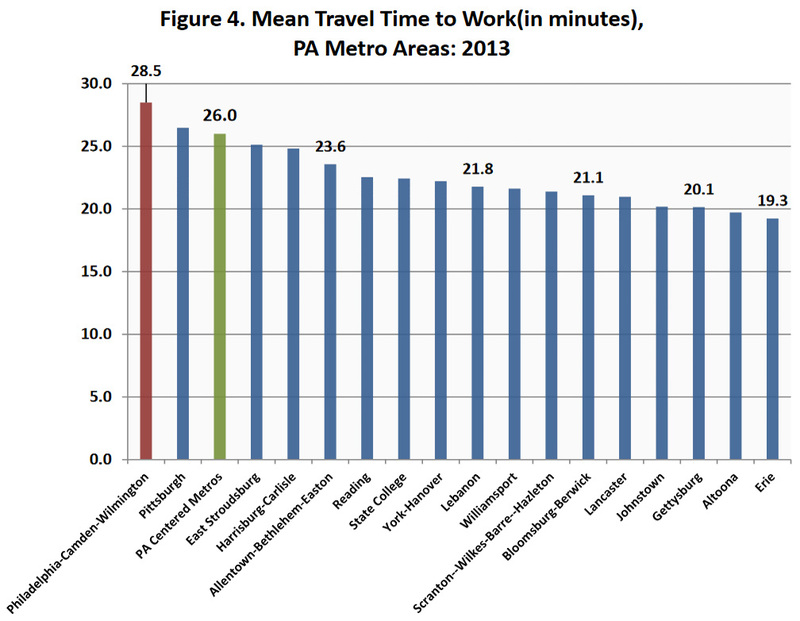 With only nine percent of residents working from home, higher energy costs could limit employment opportunities and would lessen disposable income for most Pennsylvania workers that commute on average 20-30 minutes, with places around Philadelphia sometimes looking at an hour or more in drive time each way. But that’s not realistic. In fact, a significant number of jobs would be lost if the country converted to 100 percent renewable energy. In January 2016 Stanford Professor, Mark Jacobson released a “study” explaining how the country could transition to completely renewable energy. EID dove into the data provided on Jacobson’s website and found that despite claims from climate activists, there would be 3.8 million jobs destroyed from such a transition versus an estimated 2.6 million jobs created. The data was later deleted by Jacobson, but not before EID was able to create a chart detailing where that job loss would occur. Nearly all of the categories can be found in Pennsylvania. “When people assume that we can switch from fossil fuels to renewables they assume we can completely switch out of one path, to another path,” Verdolini told the Post, noting the study suggests otherwise. Further, the reality is that renewables do not create manufacturing jobs – at least not those that rely on oil or natural gas feedstock to produce the more than 6000 products Americans use daily. And that’s just jobs. There’d also be millions of dollars lost in tax revenue and impact fees, charitable giving from the industry would cease, and the state’s GDP, which has increased over 900 percent since the first Marcellus well, would be hit hard. The bottom line is that if the economic impacts of shale development have been felt by the entire state, so too will the impacts of it being banned.